Today I’m going to be talking about how music affects me and some of my favorite bands. Music has and will always have a special place in my heart. For me music has a strong impact on how my mood is reflected every day. Music has helped me smile, helped me laugh, and helped me cope. Neck Deep would probably have to be my favorite band. Neck deep is Wrexham they formed the band in early 2012 in which the vocalist Ben Barlow joined up with their lead guitarist Lloyd Robert. The two created one song together and posted it online. This song gained some fame that pushed them to make 2 different EPS known as “Rain in July” in 2012 and a “History of Bad Decisions” in later 2013. After just two small EPS the band was sign to hopeless records. Their style is Punk with influences like Wonder Years, Early Green Day, and Sum 41. 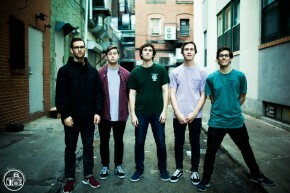 Another one of my favorite bands is Knuckle Puck they are an American rock band from Chicago Illinois. They were originally a cover band and didn’t expect to put a dent in the music industry. But after one day the band got tired of covering songs. They sat down and started to write their own stuff and the outcome was their first EP which was “While I Stay Secluded” in 2014 this EP held a spot at number 5 on the Heart seekers Albums. 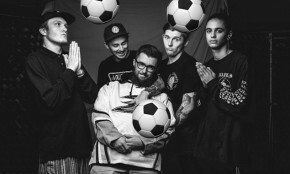 Knuckle Puck was then signed to Rise Records In early December 2014 and released their first full debut album “Copacetic”.